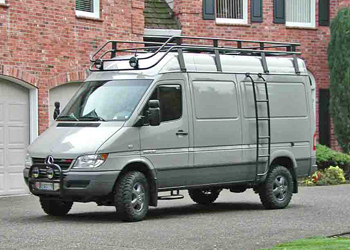 Whether you have an Aluminess roof rack, or just a plastic storage box, the van roofs are a great place to store bulky things. 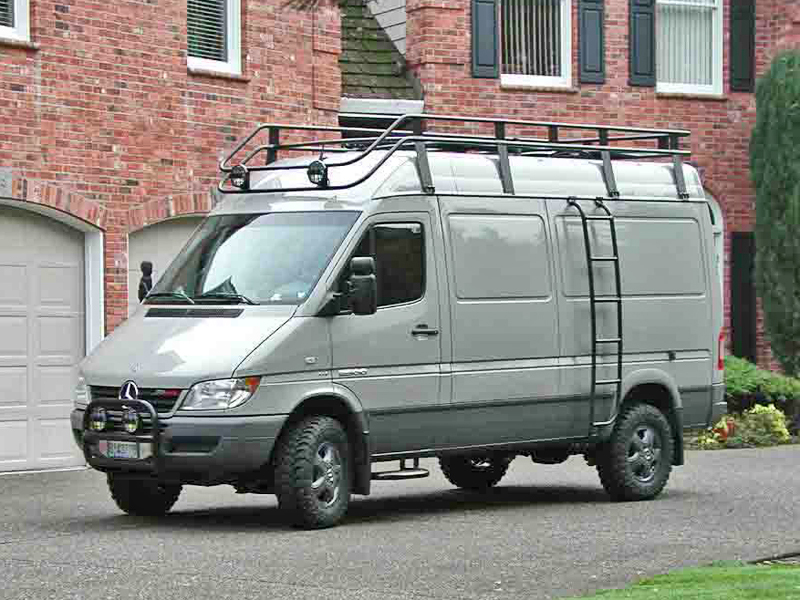 The problem is how you get up there to strap everything down. 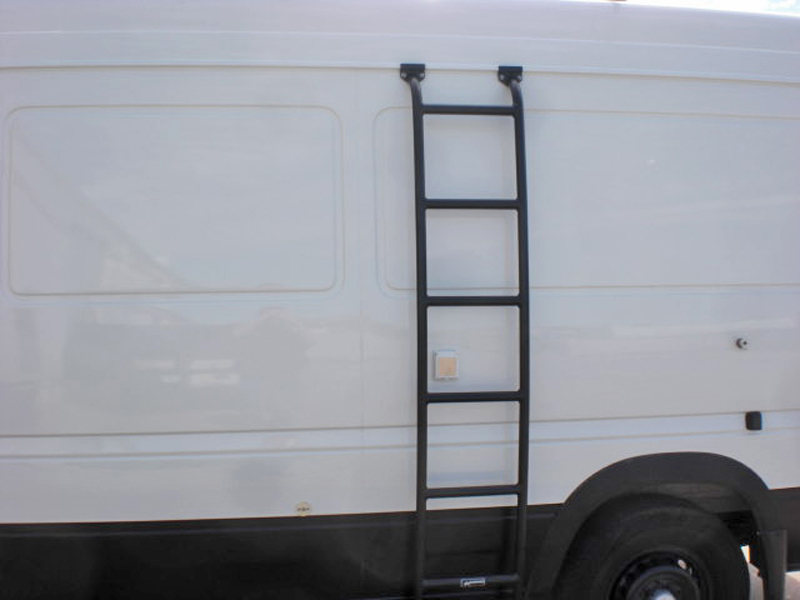 Aluminess solves this problem with their all aluminum ladders. 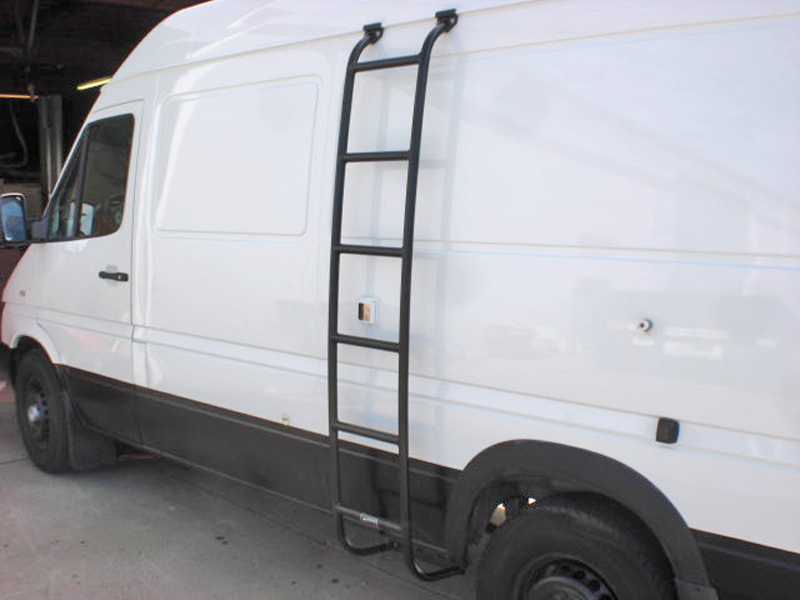 These mount to the side of the vehicle solving the problem of drilling through your rear van door.